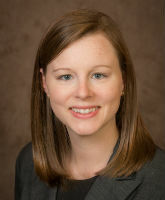 Chanelle White is the Assistant Director of Academic Advising in the Farmer School of Business. She has worked in the advising office since 2010 as an Academic Advisor and Senior Academic Advisor previously. Through this role she assists business students with major and career exploration, course selection and registration, and academic planning. Chanelle teaches and coordinates a first-year experience course, UNV 101: I am Miami, for the Farmer School. She also manages the force add process, maintains advising publications and web pages, and assists undergraduate student recruitment, admission, and orientation initiatives. She uses student development and strengths-based approaches to support Farmer School students. Chanelle completed both her undergraduate degree and master's degree in higher education at Miami University.